While at Sock Summit, I gave away some Knitting Like Crazy goodie bags. Inside were some stitch markers, some coupon codes, and the Travelling West sock pattern, my most recent sock creation. 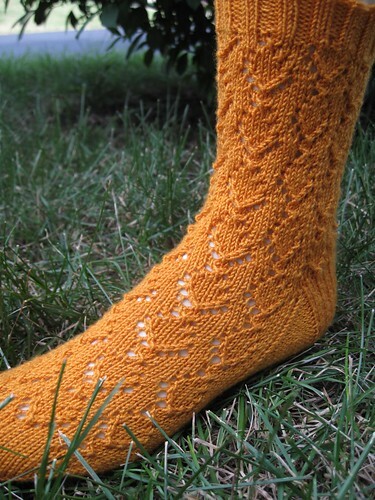 Now Sock Summit is over, and I thought it was time to share the pattern with everyone else! I really hope you all enjoy it! The pattern is written for a cuff down, 64 sts sock. 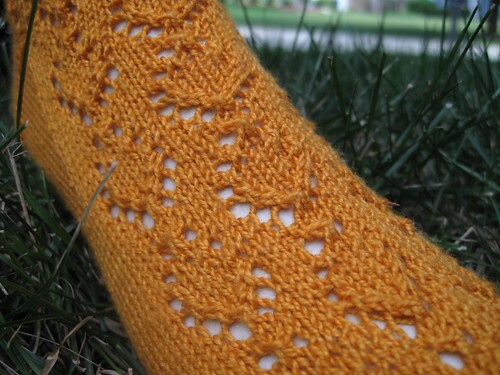 It's an easy little lace pattern, and has both charts and written directions. It's available on Ravelry for $5.00. You can see the pattern page here. Or, just click the buy now button below. Hope you enjoy. Happy sock knitting!